A meeting will be held next week, to discuss improvements to Thomas Gibson Park in Thirroul, including development of a proper grandstand. The Illawarra Division Rugby League has arranged the meeting of representatives from NRL, Wollongong City Council, Thirroul RLFC, Illawarra Division Rugby League, along with Member for Keira, Ryan Park MP, to start the ball rolling on improvements to the field, and working out who is going to pay for them. 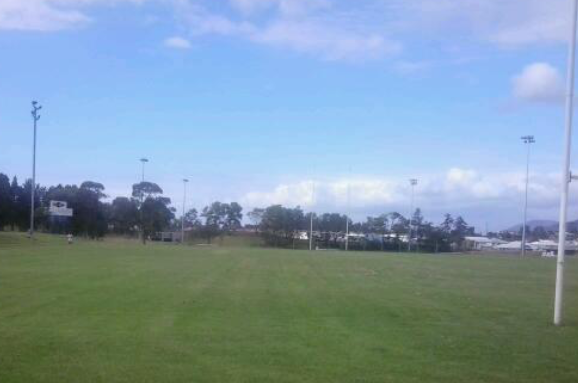 The Thirroul Butchers Rugby League club have played out of Thomas Gibson Park for around 80 years. The club boasts a large number of junior league teams and is a heavyweight in the Illawarra Coal League competition, so the venue is used continuously during the winter months. The facility has had no real money spent on it since it was built in the 1960’s, so its starting to deteriorate, and it no longer meets the needs of the community. The club has outgrown available storage at the venue, and player and spectator facilities are badly in need of upgrading to cater for the needs of the club and the community that supports the Butchers. The Thirroul RLFC has already invested time and effort in developing plans for an upgrade of current grandstand, change rooms, canteen facilities and storage facilities, saying that in an area with restricted access to greenspace, the upgrade of existing facilities to meet increasing demand is now well overdue.